"Go into all the world and preach the Good News to everyone. " You will not want to miss hearing about what our World Impact teams are doing! This fun packed weekend starts with our World Impact Expo on Saturday morning from 8 AM to 2 PM. We will be serving breakfast and lunch, so come make a day of it. There will be a Saturday evening service at 7 PM. Sunday morning service will be held at 10 AM. Don't miss the amazing flag processional with our teams carrying their respective flags. Our guest speaker this year is Lars Dunberg, the founder of Serve Now! Plan on attending the entire weekend of events; you won't regret it. All events will be held at 133 East Vine St. Lancaster. 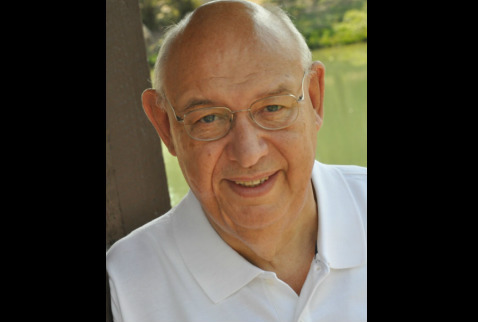 Lars Dunberg has been in Global Ministry for over 50 years. Originally from Sweden, he translated the bible in Swedish, which is still used as a text for bible translation today. He then married his wife Doreen who is from England. He pastored a church in Sweden, was a traveling evangelist with the Salvation Army and served as President of British Youth for Christ. In his 30's he moved to the US being appointed President of Living Bibles, taking over for Ken Taylor (New Living Translation). Living Bibles then merged with the International Bible Society (today known as Biblica: NIV translation). In 1998, Lars left to start his own organization called Global Action where he served for over 10 years as President. After retiring for 3 months...he got bored and decided in his 70's he needed to "refire" so ServeNow was started in December 2012. Lars appointed Ben Foley as President in 2016, after a training period, but remains involved in ServeNow in various capacities. Lars has been to 88 countries around the world...India alone 120 times. He has provided and smuggled bibles with Brother Andrew, published Corrie Ten Boom's biography, David Wilkerson's first tract, would have tea with Mother Teresa when in Kolkata, has trained thousands of national leaders around the world, worked with Billy Graham, Luis Palau, and many other "giants" in the faith worldwide and missionaries. He has been held at gunpoint in Nigeria, interrogated by the KGB and has been in many life-threatening situations as a "risk taker for God." He will tell you that what he sees happening today in the parts of the world ServeNow is involved in, surpassed the impact he has seen in the past 50 years in our first 5 years!